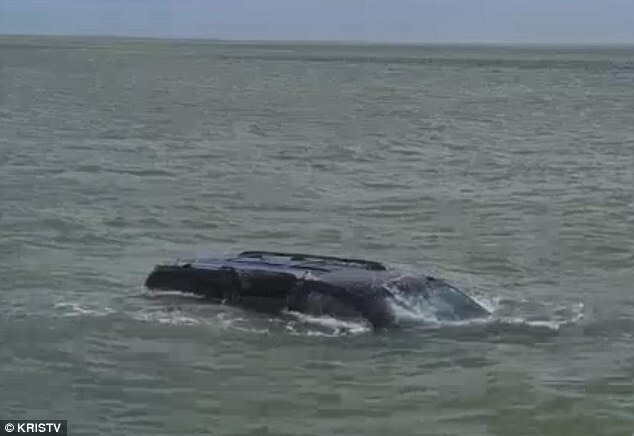 A woman who was startled by a mouse in her car jumped out and helplessly watched as her SUV rolled straight into the ocean. The woman was leaving Swantner Park in Corpus Christi, Texas, around 10.30am on Monday when she felt a mouse brush against her leg. 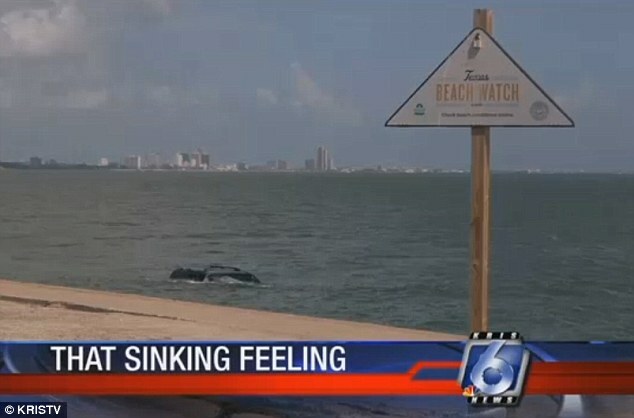 She managed to escape the rodent, but accidentally threw her car into gear in the process, which sent it rolling into bay before it was overtaken by the water. 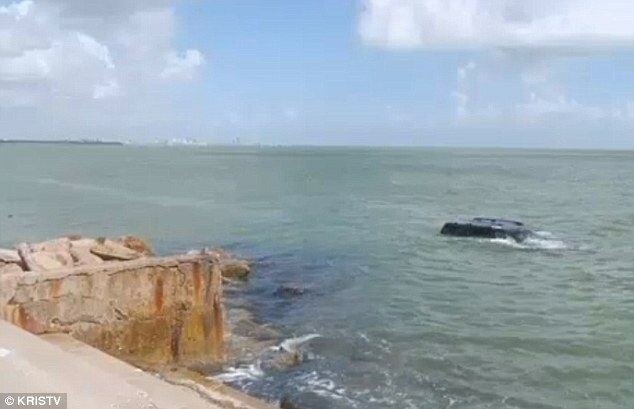 The SUV was seen about 20 feet from shore, with the roof still visible as waves lapped at the windshield. The unnamed woman was very embarrassed by the accident, but managed to escape unscathed, Corpus Christi police officer Carl Knapick said.